Why choose Four Grand Mere Ovens? 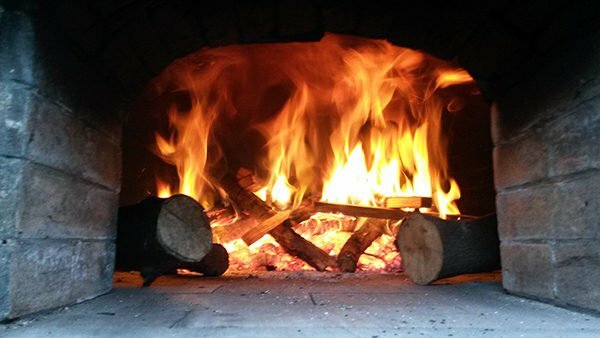 Following on from my post about smoke-control-areas I thought I’d put down a few thoughts about firewood species for baking in a wood-fired oven and the importance of reducing the moisture content as low as practically possible. All the nonsense you’ve ever read about clearing woodland in temperate Europe by setting it alight is just that, nonsense. Trying to burn standing timber or even under-storey wood is, as the late Oliver Rackham points out, “like trying to burn wet asbestos”. ( History of the Countryside p72 Dent 1986). Historical references to burning woodland normally refer to charcoal burning, a widespread industry that was both local and semi industrial in scale. The widespread notion that Britain was largely untamed wildwood well into historical times doesn’t bear any close examination either- there is plenty of evidence that by the Roman occupation, Britain was only about 15-20% woodland, about the same as modern rural France. Woodland soils in lowland Britain are generally more fertile than tropical rain forests and probably supported small clearings of crops for short periods with men clearing small wood with grazing animals and stone tools. The great clearances were probably Neolithic to Bronze Age but even now there is very little evidence as how they managed it, the labour involved and how long it took. We know from their legacy of stone monuments and track ways that they were very well organised and must have worked co-operatively in large numbers. Undoubtedly, it is one of the greatest agricultural achievements ever. 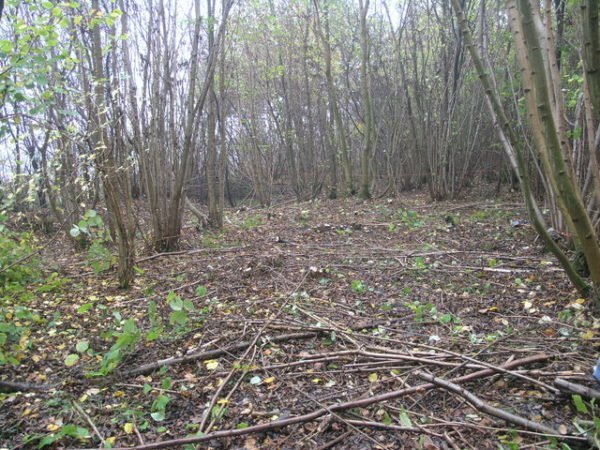 What those men did find however was that wood grows back quickly from cut stumps and may have been an early version of coppicing where areas are left to regrow so that successive crops of wood can be grown over periods ranging from 5-10 years. Anyone who has tried to cut a tree with a diameter of over 25cm and then reduce it to logs without power tools will realise it’s a lot of work. Growing smaller diameter wood 100-150mm in a coppice rotation is so much easier not only to saw to length but also split, especially as its straight grained unlike its counterpart, the tree branch, which is knotty, twisted and impossible to split. Coppice stools maintain the life of the tree indefinitely and are probably some of the oldest living things in our ancient woodland. When you hear the woodman’s cries. The proper kind of logs to burn. If they’re old and dry. But the sparks will fly. If you cut them in the fall. No flame to be seen. They’re worth their weight in gold. There’s some truth bedded in the poem but the important thing about ALL firewood species is that they are dry. Any firewood over 20% moisture ( including ash despite the poem) will not burn efficiently as the combustion process is slowed down from around 70% to 30% efficiency by first driving out the moisture as the wood heats and that heat being lost as steam and tar. The length of burn is governed by the woods density, so as the poem reminds us, oak, hawthorn, beech, holly, yew, cherry, pear, apple and ash are comparatively dense woods and burn relatively slowly. To these we could add hornbeam, box, elder, crab apple, rowan, blackthorn, false acacia and even old ivy. To make a good balanced fire its worth adding faster burning firewood like birch, hazel, chestnut, sycamore, alder or poplar if dried well. All firewood has the same calorific value by dry weight but some woods give up that energy quicker than others. Firewood supply in the UK is not only very variable in quality and moisture content but its eco-credentials are compromised by transport costs and delivery distance. Some supply kiln dried firewood others just seasoned firewood, some offer local tipped delivery others nationwide delivery in bulk bags or nets. Clearly the best firewood supply in terms of embodied energy is either going out foraging yourself or one that cuts and stores firewood locally to where you live and delivers locally in economic loads. Much of the firewood in our very competitive market is imported from Baltic states like Lithuania and Latvia where wood is plentiful and labour is cheaper( stacked in give away wooden crates). It may seem like a good deal but after you factor in the real cost of supply with packaging, double or triple handling, ferry fuel costs and distance, the poor old log you thought so cheap now has an embodied energy cost maybe 5-10 times that of a local supplier. There are several suppliers who use home grown timber and kiln dry it using wood waste as fuel and have a UK wide distribution via transport carriers. Unlike imported logs, UK logs are normally supplied in bulk bags sold by volume. Check with your supplier what species are used and whether they are kiln dried. If you buy seasoned logs from a local firm, try and stack and keep them dry for at least a year before you use them to get the most heat. If you’re unsure of your supplier check out a quality assurance scheme for wood based fuels and the Forestry Commission for British grown wood. For the wood-fired pizza or bakery oven, the usual delivered split firewood size is normally a bit on the large size at 100-150mm diameter and 250mm long so it pays to split this down further to 50-75mm to get a good fire going quickly and stacking the wood in alternate directions with the largest logs at the bottom. The stack should be filled with kindling/paper and set alight so that it burns top down producing a much hotter and steadier fire to heat up the mass of the oven. Larger logs can be added later and warmed away from the fire whilst the mass of the oven is being heated. Those logs will combust of their own accord and can added to the fire as necessary to keep a bright flame going. Once the oven reaches around 300C, the flame will deepen to a deep yellow orange, any soot will burn away, smoke will clear and heat intensify making it perfect for cooking. The best way to dry firewood other than storing it for a long time under cover is to make a stack in a cooling oven once you’ve done your bake. The dry heat will drive off any residual moisture and leave you with perfectly dry firewood the next time you fire up. This entry was posted in News / Blog / Ideas. Bookmark the permalink. Dome height in a Four Grand-Mere wood-firedoven-standard or raised?